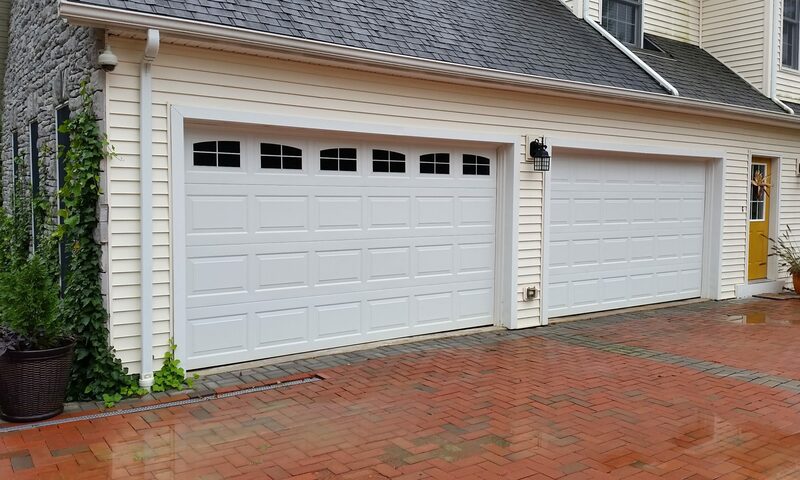 Welcome to Garage Door Window Decals .com – The only place you can dramatically change the curb appeal of your home with very little effort and money simply by using our custom faux garage door window decals. Get Manufacture Direct Pricing plus FREE SHIPPING . Take a look at the photo with the yellow square this is the part of your door that you will need to measure. Make sure the decal you select will fit within your square. The faux window panels will fit an average size raised panel garage door, keep in mind not all doors are created the same. We offer several sizes and styles in our store, make sure the to select the decal that fits your door the best. It’s normal for the decals to be smaller than your panels this helps create the faux appearance. The decals are also designed to fit in the center, bottom or top of your panels. You can select the method that works best for your door. All of the decals are shipped with wet & dry install instructions. The wet install method will allow you to move the decal around during placement, however this takes a little longer than a dry install. The dry method is similar to placing decals on a wall this method is selected by most people.